Southard Brothers Construction’s relationship with Komatsu and their dealer, Linder Industrial Machinery Company, began in 2013. 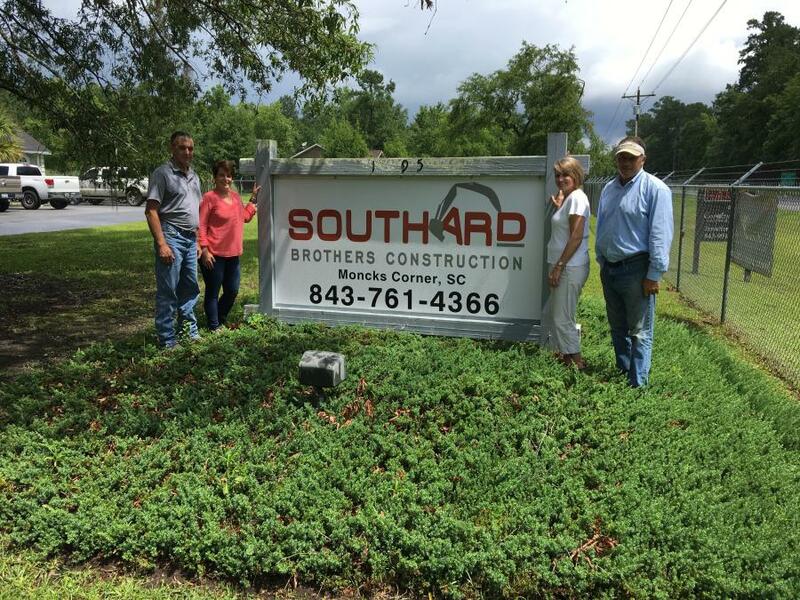 Southard Brothers Construction, based in Moncks Corner, S.C., is currently working a project that will help bring hundreds of jobs to the Berkeley County area. 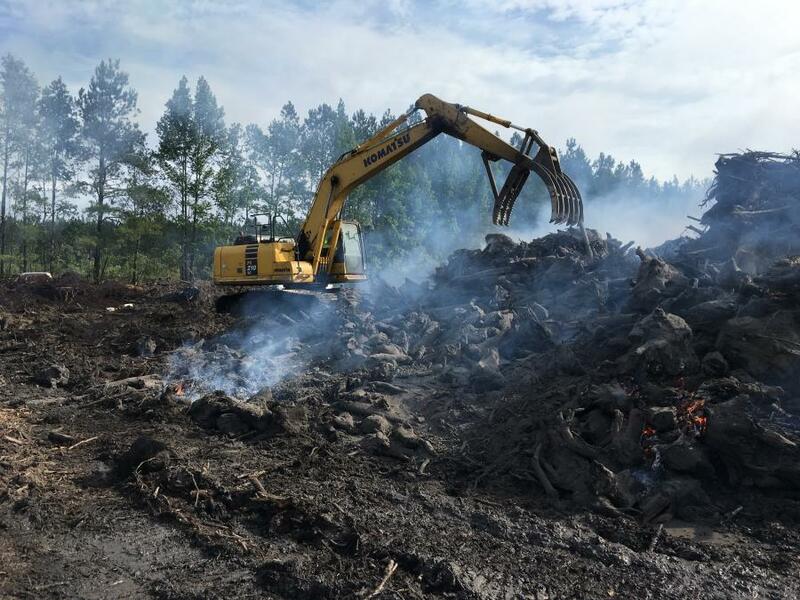 The wetlands mitigation watershed project involves creating a suitable 100-acre building site for a future subsidiary of a Volvo assembly plant, which is currently under construction, as well as digging 100 acres of ponds for the project. The ponds will help divert some of the water in the surrounding area of the 6,500-acre development. Southard said he is moving 450,000 and 500,000 yds. of dirt on the project between the ponds and the site prep. He also had to remove timber from the site, which was previously home to a tree farm. Currently, the company has 23 machines working on site of which 17 are Komatsu. Several of these machines are Intelligent Machines with integrated GPS. Southard said their relationship with Komatsu and their dealer, Linder Industrial Machinery Company, began in 2013 on a ball park complex project in Moncks Corner. The $3 million project involved four baseball fields, a football field, a soccer field and a 200-space parking lot. Southard said he couldn't handle the project with the equipment he owned — he needed medium-sized equipment — so he contacted local equipment dealers, including Linder. Southard also said he's been happy with the performance of his Komatsu D65 dozer and 40-ton HM400 trucks on the watershed project and others. 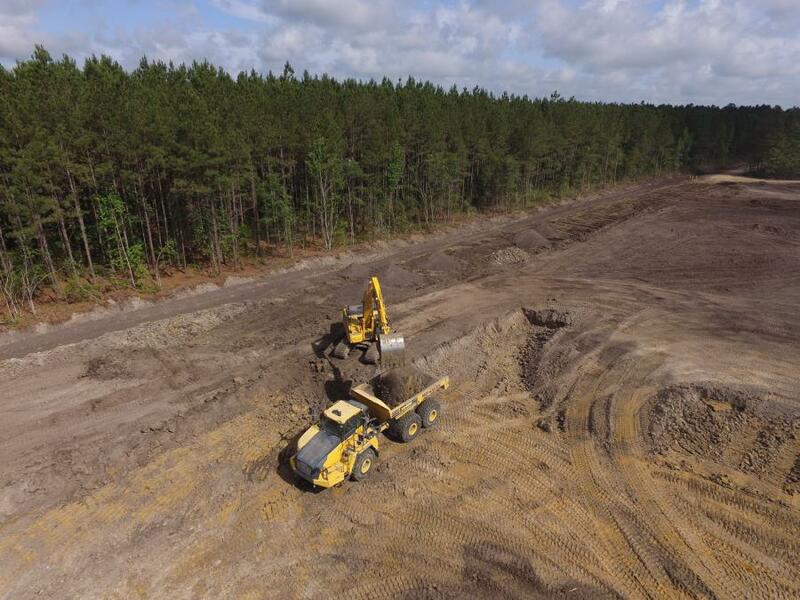 In addition to the watershed project, Southard is currently working on a phase of a 130-lot sub-division at Fox Bank Plantation between Moncks Corner and Goose Creek on Highway 52. When complete, it will be an approximately 1,200-home development. Southard is working as a subcontractor for the developers, Chesapeake Development. “We built a 1,600-foot causeway across the 150-acre lake to access another 400 homes on the other side. Now, we don't have anything to do with the 400 homes on the other side, but we wanted to do the causeway across the lake. We built a 140-foot wide road right of way across the lake with water on both sides. We were intrigued by the challenge. It turned out pretty well,” said Lee Southard, co-owner of Southard Brothers Construction. Southard said he'll be using all Komatsu machines on a power plant project near Georgetown. “We're doing foundation work for a proposed landfill in an existing ash pond. The ash pond has been excavated, and all the ash has been removed by the power company. We came in under this contractor by removing the existing soils beneath the ash pond. Then, we have to back fill roughly 400,000 cu. yds., which will be the foundation or base for the future landfill for ash disposal. It's very similar to the Volvo site. It's just bulk moving material,” said Jason Southard. Southard credits his father for the success of the business. 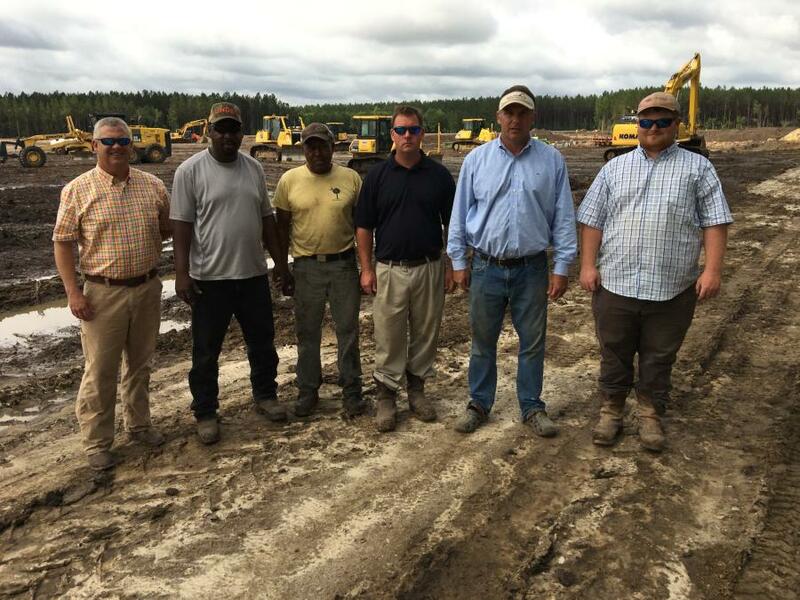 Many of Cooper River Construction's employees stayed on with Southard, and he appreciates their loyalty. “We have very little turnover with our employees. Our first truck driver has been with us for 17 years. Having good guys that stick around for many years helps us a lot,” said Jason Southard. Linder offers a wide variety of new, used and rental equipment across 16 branch locations with an extensive OEM parts inventory, remanufactured exchange components, aftermarket parts for all makes of equipment, used parts, complete undercarriage rebuilding equipment, and a professional staff of customer support managers.